How to download trails from the Web? Open the route instantly from any mobile with the new QR code reader integrated in the App. In order to see the QR code, you need to be logged in with your Wikiloc account. 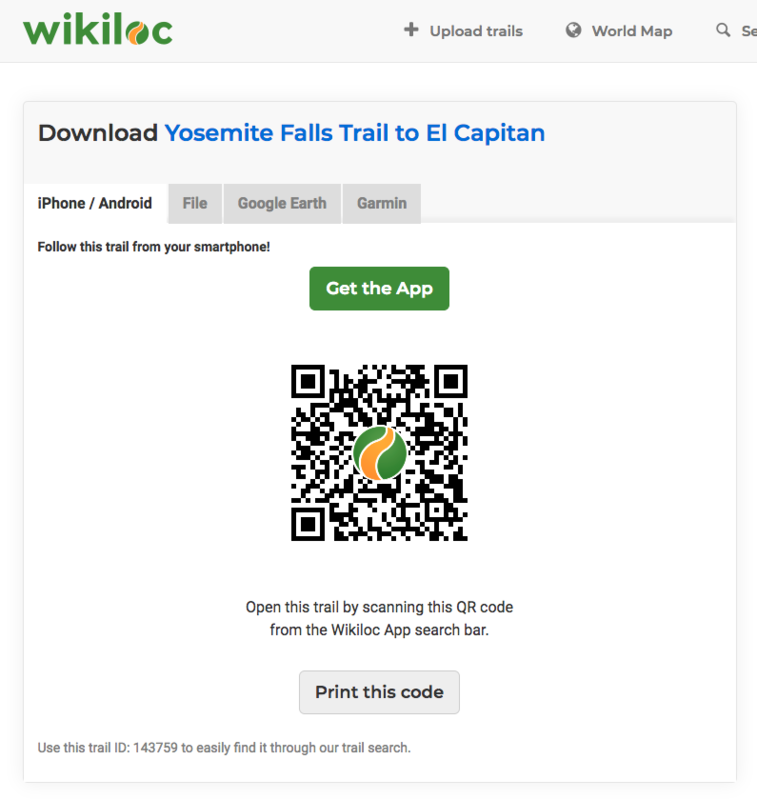 From the App, at the bottom of the trail sheet, click the "Save Trail" button to download the trail to your smartphone. Download quality: Simplified track with 500 points, Split of the trail in different tracks of max. 500 points or Original Track (number of track points in brackets). Whether or not to include the map Waypoints. Download the file to your computer as .kml (default Google Earth format). You can also choose whether or not to include the map waypoints. How to add a trail from the computer to my GPS device?